When you are shopping for a new countertop for a bathroom vanity or kitchen, you may spend a considerable amount of time selecting the material and the pattern of the countertop itself, but almost no time considering what the edges of the countertop will look like. This detail often gets overlooked right up to the time when the countertop is installed—when many homeowners suddenly wish they had spent more time considering the options. 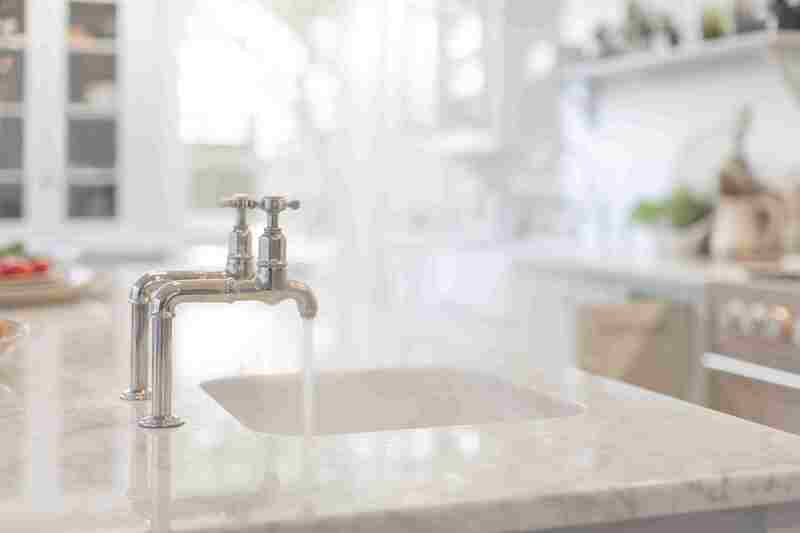 The countertop itself is seen and touched many times a day, so it is important that you consider the impact that the edging treatment will have on the aesthetics of your bathroom or kitchen. From the simple square edge to the fancier DuPont custom edge, from practical and soft bullnose edge to a clean beveled edge, the right edging treatment shows off the beauty of your stone, finishes your overall room style, and provides extra decorative value. The edging treatment should be considered when choosing any stone or engineered stone (quartz) countertop, of course, but it shouldn't be overlooked when using solid-surface materials or even custom laminates. There are edging options to consider with virtually every countertop material. Here's a rundown of popular edge treatments. 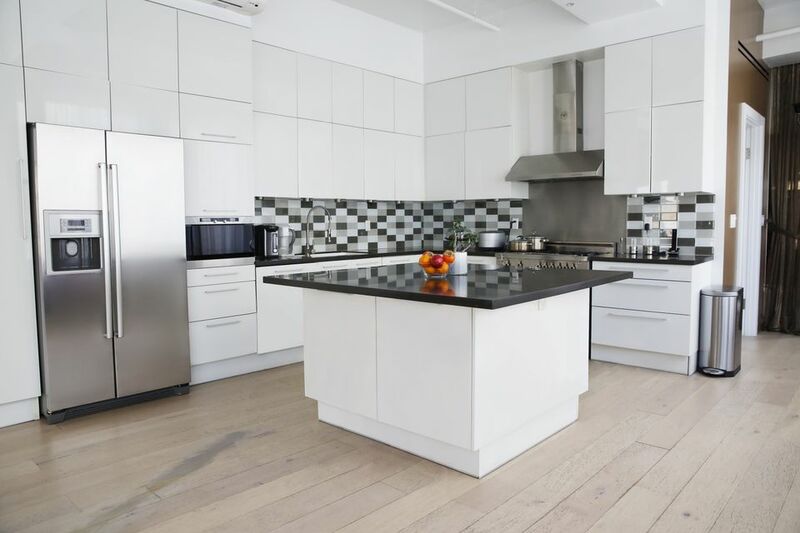 The most simple and clean-lined of edges, square countertops are actually not perfectly square; most are created with small "kerfs"—grooves that soften what would otherwise be dangerously sharp corners. This serves a dual purpose: to prevent nasty accidents and to minimize the chance of chipping and breaking, which is especially important when you're using natural stone, engineered stone (quartz), or cement. A square edge works well with nearly every design style, and is a particularly good choice when you don't want to draw attention away from other details, such as a decorative tile backsplash or a dramatic faucet. Eased edge: This edging treatment features a square flat face with a slightly rounded top edge. Square edge with waterfall: This is a square-edge countertop that takes a little dip before descending over the edge. A traditional edge style that evokes classical stone architecture, a bevel (sometimes known as a chamfer) is really just an edge where the top corner is cut off at roughly 45 degrees. There are many variations on this style, including double bevels (both the top and bottom edges are cut at an angle), and more elaborate edge treatments that combine bevels with other shapes. Like the kerfs in a square countertop, beveling softens sharp edges, but it also makes a strong design statement. The degree of bevel can be customized to your preference. Common bevels include 1/4-inch, 1/2-inch, and 3/4-inch. Why Choose a Beveled Edge? A beveled edge transmits tasteful elegance and until recently was a reliable indicator that the countertop was hewn from real stone. But recent advances in laminate technology have made it possible to get a much less expensive granite look-alike countertop with a soft chamfered edge—a far cry from the telltale "laminate lines" so common in the square Formica tops of a generation ago. Extreme beveled edge: Here, the top half of the bevel features a very slanted pitch rather than the standard 45 degrees. At first glance, a mitered edge treatment closely resembles a square edge, but this one is made by mitering the edges of the horizontal top piece and the vertical apron piece so they form a straight, square joint. tt is often used where the vertical face of the edging extends downward more than usual. This can give the countertop the look of a very thick slab, or it can be used to form a wide waterfall that extends well down the cabinet face. Why Choose a Mitered Edge? When you want a weighty-looking countertop without the extra heft and expense of a solid slab, this is the way to go. It's a great option for making the countertop the focal point of the room, and it works well with both traditional and modern designs. Eased and mitered edge: This is a mitered top with a slightly eased (rounded) edge and rounded corners. This small detail that can really change the look of a stone countertop. One of the most popular edge treatments for granite, the bullnose is a deeply rounded style that creates a warm, soft profile around the entire countertop. It's also one of the best profile options for showing off the solidity and thickness of granite or marble. Traditional bullnoses feature edges in which both the top and bottom corners have been rounded off. Why Choose a Bullnose Edge? Aside from its attractive contemporary look, a bullnose edge is a wise choice in a bathroom used by young children, since the countertop edges will not have any sharp edges. Demi-bullnose: This combines the curve of the bullnose with some angling along the bottom corner of the edge. Half-bullnose: Here, only the top edge is rounded, which allows for showing a larger cross-section of the stone. Ogee: The elegant ogee consists of two gracefully sweeping arches that form an "S"-shaped curve when the edge is viewed in profile. It's a classic edge treatment that evokes the elegance of another era. Victorian, Colonial, and other classic architectural styles are good settings for ogee profiles on countertops. Waterfall: As its name implies, the waterfall's rounded top “falls” over the top to the front vertical edge. This is used with extra-thick countertop slabs. DuPont: As regal-looking as its name, this design features a sharp, straight drop that flows into a bullnose-like curve. It is even more formal in appearance than an ogee edge. Cove: The cove has a bowl-shaped recess on the top edge that creates a grooved edging treatment. It is sometimes combined with an ogee profile. This edging treatment, while still formal, is somewhat more relaxed than an ogee or DuPont. Quirk: An L-shaped step is cut the edge of the countertop. This edging treatment is used to provide a truly unique look. It is used more often in engineered stone (quartz) countertops than in natural stone. Chiseled: Also called broken edge or rock face, this rustic edge resembles rough stone or wood in its natural state. It is available in natural stone and quartz countertops, and lends a rustic, informal look to a room.